The price of gas. Sound Familiar? Yellow vest demonstrators have again clashed with riot police in the French city of Toulouse as President Emmanuel Macron prepared a series of policy announcements aimed at quelling 22 consecutive weekends of anti-government protests. The southern city resembled a war zone today as police fired teargas and arrested several people after hundreds of demonstrators started throwing objects, burning rubbish bins and trying to enter areas where protests have been banned. 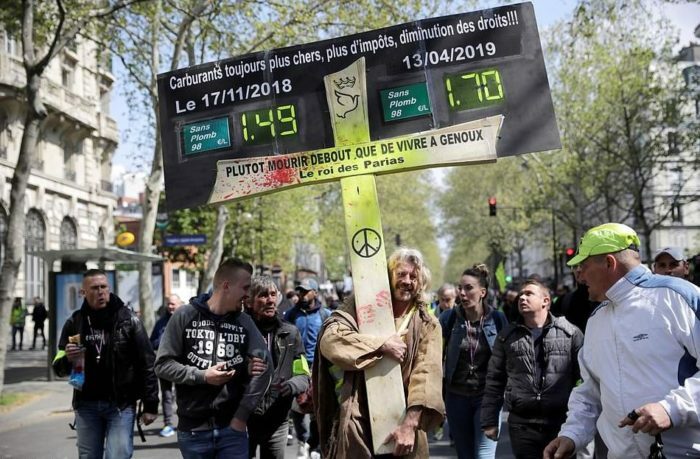 Around 2,000 protesters had gathered on the Allee Jean Jaures – a wide avenue in the city centre – and on nearby side streets.